6. The panelled work suit. 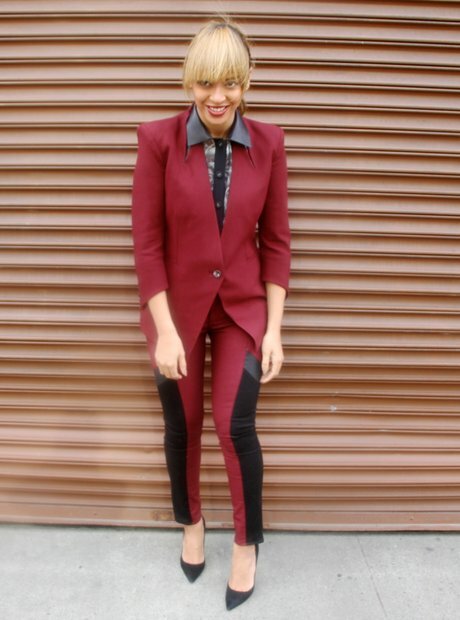 Beyoncé goes for the boho look more often than the tailored one, but when she is in the mood for the latter, Bey puts her own spin on it by adding black panels and a matching leather collar.